Michael Daniel Ho - The Wildlife Ho-tographer: Hybrid Viewfinder Coming To Canon EOS-7D Mk II? Canon EOS-7D Mk II camera? 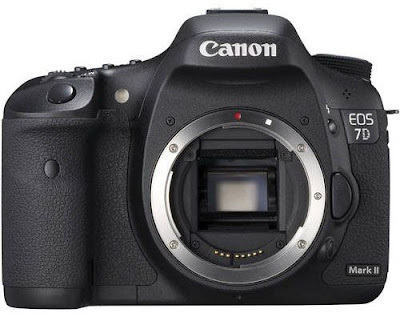 One of the most anticipated camera coming out some time in the first half of 2014 is the Canon EOS-7D Mk II. The camera may be called something else but as the top-of-the-line APS-C model, the new body's specifications is expected to exceed the highly rated EOS-70D, introduced last year. It will be equipped with something spectacular, just like when the current model was launched over 4 years ago. It made a believer in me and I have picked the EOS-7D as the best value in APS-C camera four years in a row. One of the most talked about new feature is a possible new hybrid viewfinder. The optical viewfinder will be used for still photography but changes to an electronic one when used with video. Canon made no secret they have made new video features a high priority in their EOS DSLR and Cinema line of cameras. If the electronic viewfinder does not debut in the EOS-7D Mk II, it may appear in a higher end model, like in the new EOS-1D C's replacement.